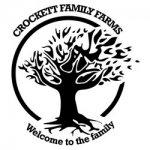 Crockett Family Farms - Confidential. Free US delivery. Crockett’s Confidential is a beautiful indica plant with typical LA Constructure. Produces large dense flowers covered in resin. Smells of apricot and grape with a earthly undertone. Easily one of the families favorites! Expect large yields indoors and outdoors.